Symphony Has Released Another V Series Android Smartphone Symphony Xplorer V28. 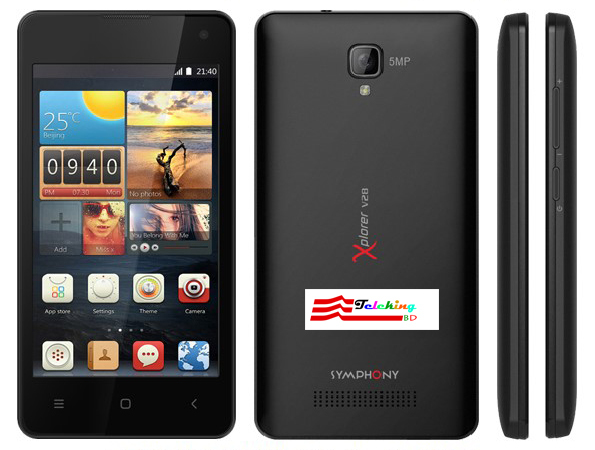 Already Symphony Has Been Released Few V Series Phone Like Xplorer V40, Xplorer V45, Xplorer V50, Xplorer V60 , Xplorer V70, Xplorer V80 And Xplorer V52. Symphony Xplorer V28 Runs Android V4.4.2 Kitkat. Its Powered By 1.2 Ghz Quad Core Processor, 512 MB RAM. Its Has A 4.0-Inch TN WVGA Display,5 MP Rear Camera And 2 MP Selfie Camera.8 GB Internal Memory Which Will Be Expandable To 32 GB By Micro SD Card.Battery Li Ion 1450 MAH.